As more and more people are turning to the use of contact lenses, contact lenses infections are becoming a major concern. Unless you are completely aware of the types and causes of contact lenses infection, you should note that you are putting your vision under threat. The complications that are related to contact lens-related eye infections are many, and it can be as extreme as acute sight-threatening hazards as well. If not diagnosed immediately and properly, it can take a toll upon your vision. The various types of contact lenses complications can affect the various parts of the eye - the lids, conjunctiva, layers of the cornea like epithelium, stroma and endothelium. Symptoms of Contact Lenses Infection: How will you make out that you are Suffering? Contact lens infections are usually the result of sloppy contact lens hygiene and improper fit. Also some people just neglect to take out the lenses before they sleep. This reduces the supply of oxygen to the cornea and also helps the pathogenic microorganisms to breed in the warm and moist surface under the lenses. The worst of all infections for poor contact lenses replacement habits and lack of hygiene is the corneal ulcer which is mostly caused by a microscopic parasite which breeds in the moist surface under the lens on the cornea. The people who are most at risk are swimmers who have the habit of swimming with their contact lenses on. The water in the public pools or natural water pools are likely to be infected and they get into the contact lenses and the eyes in the process of swimming. A corneal ulcer is really a painful situation where the patient suffers from redness of the eyes, pain and some discharge. Though in most cases patients are treated with immediate administration of antibiotics, sometimes they also have to spend a stint in hospital. In fact, if the condition gets worse, the corneal ulcer can claim major loss of vision in the eye. Giant Papillary Conjunctivitis or GPC is another nasty eye contact lens infection. Mucus is discharged from the eyes along with constant itching. The first thing the patient has to do in such case is to discontinue wearing contact lenses immediately. With quick and right treatment, this situation can be controlled and the infection gets cleared up. There are also instances where the patient suffers from the reaction to the solutions that are used to disinfect or store the contact lenses. 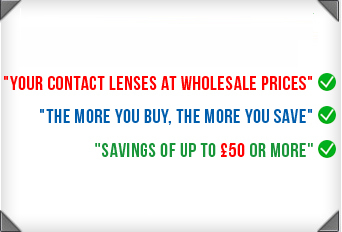 It is never wise to change your contact lenses solution simply because you get allured by a bargain price of another. In most cases, changing the solution without consulting the optometrist gives rise to eye irritations and infections. Also remember, contact lenses infection may also occur due to an improper fitting of the contacts. If your eyes become red and sore after wearing the contacts, remove them immediately. Sometimes, you even do not know if the lens is a good fit as it may take a few hours before you see the reactions.